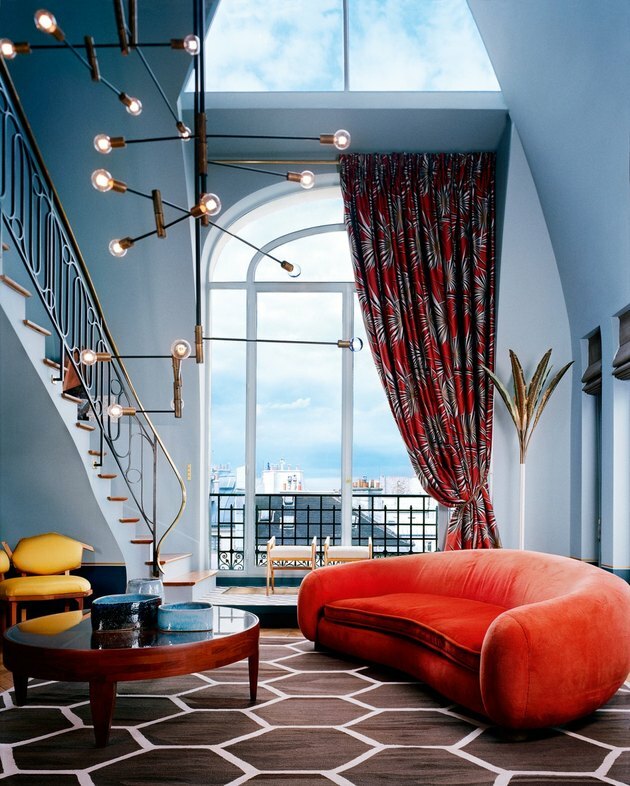 The world of interiors has been running fast and far with plenty of geometric lines and sleek, sharp edges for quite a while now, but new seasonal trends are painting a much softer picture of interior design's future. 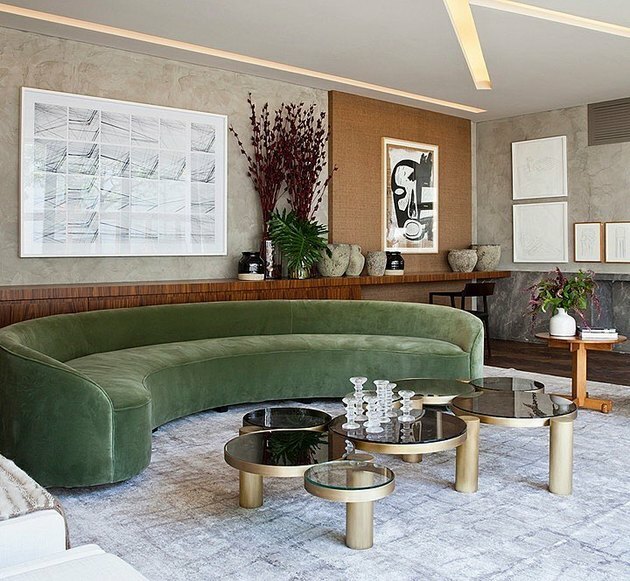 In lieu of razor-sharp silhouettes, 2018 will see more rounded, '70s-inspired furniture take over, according to Chairish. 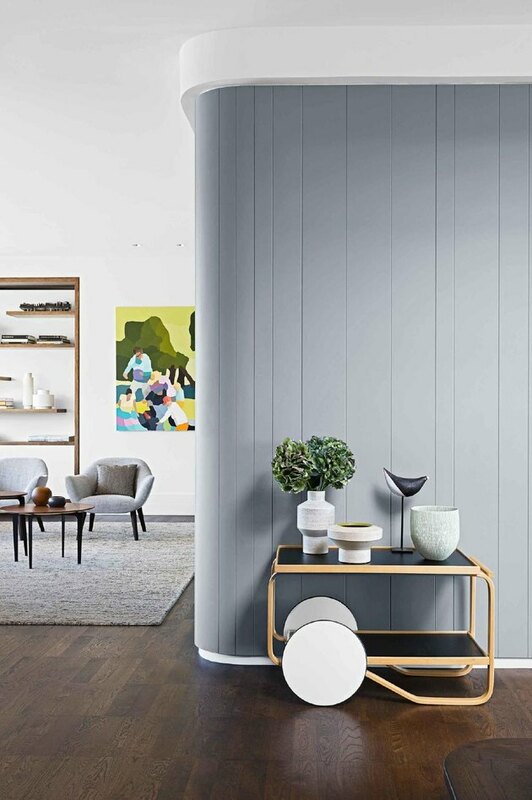 From circular swivel chairs to curvy sofas, this season is all about embracing a more shapely design aesthetic. 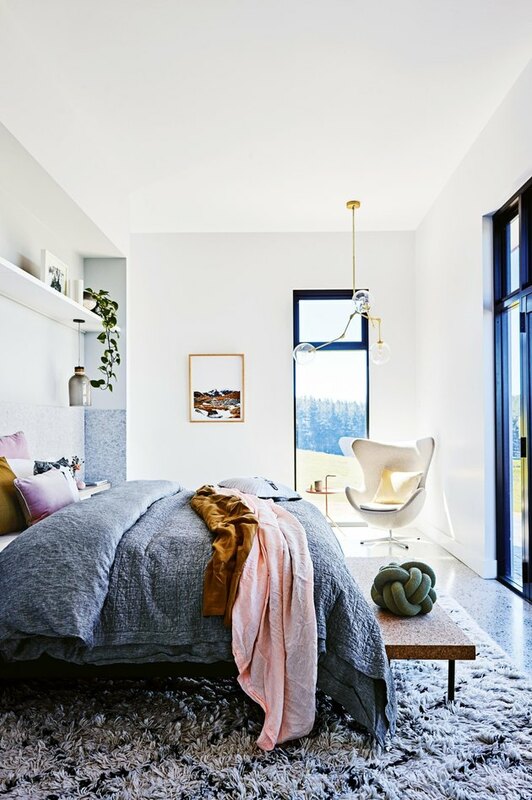 Prepare to be amazed, the following 13 spaces are all the inspiration you'll need to bring this luxe and comfy style into your home in the new year. 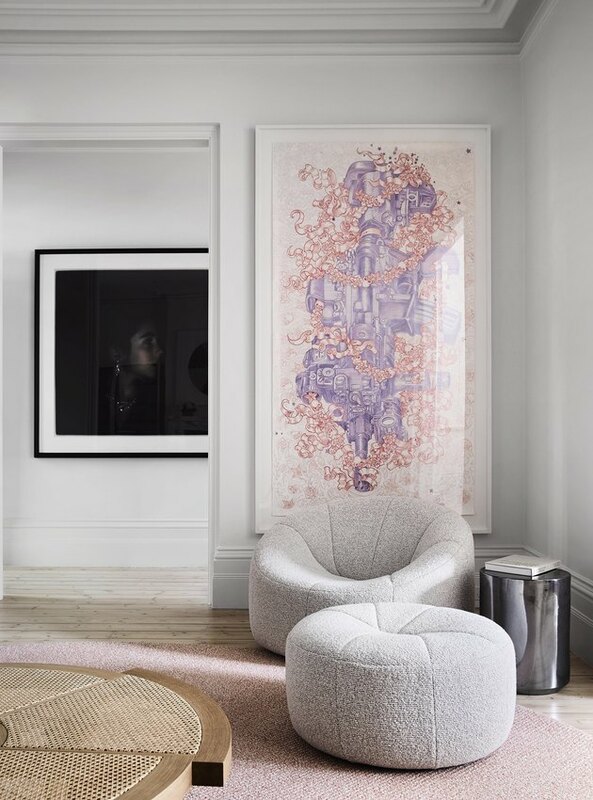 Little lends itself more to a feminine aesthetic than the soft, curvy lines of this trend, which is probably why this greige lounge chair and ottoman work so well. Of course, the plush upholstery doesn't hurt either. 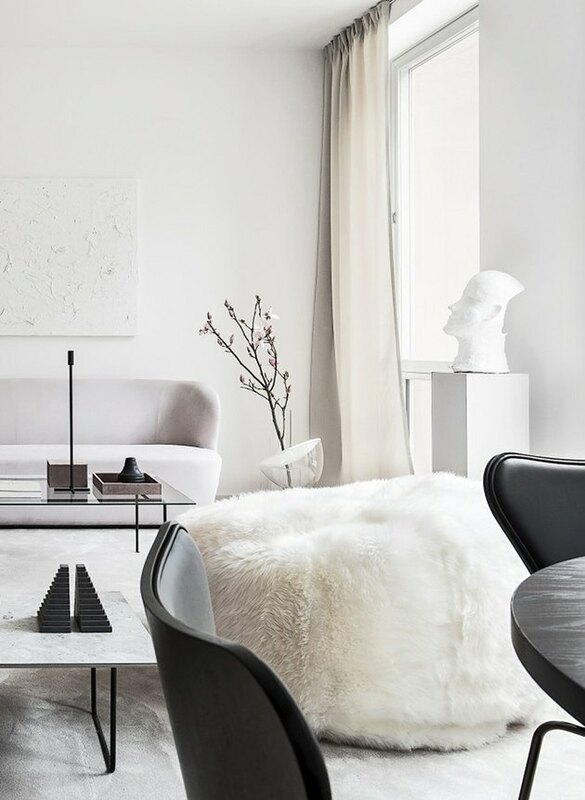 Integrating a rounded theme into your space is a no-fail way to adopt this trend. 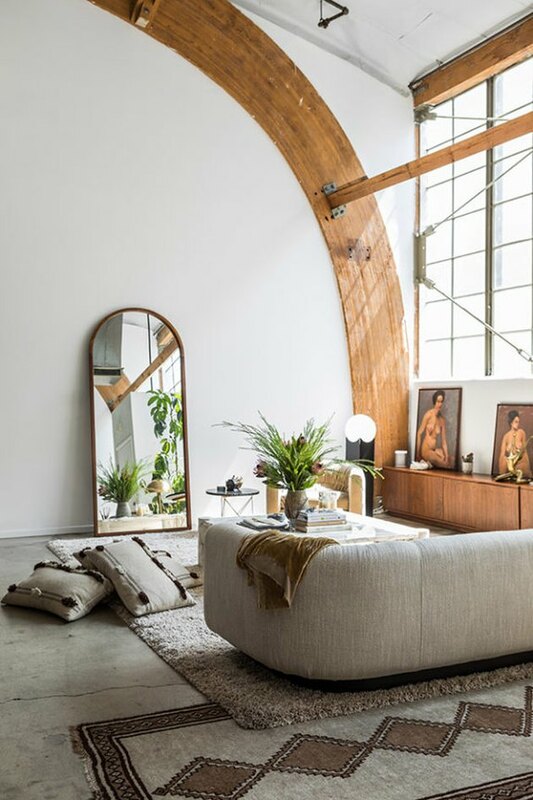 Here, the beautiful arched wood beams paired with that magnificent mirror practically beg for a comfy, curved couch. 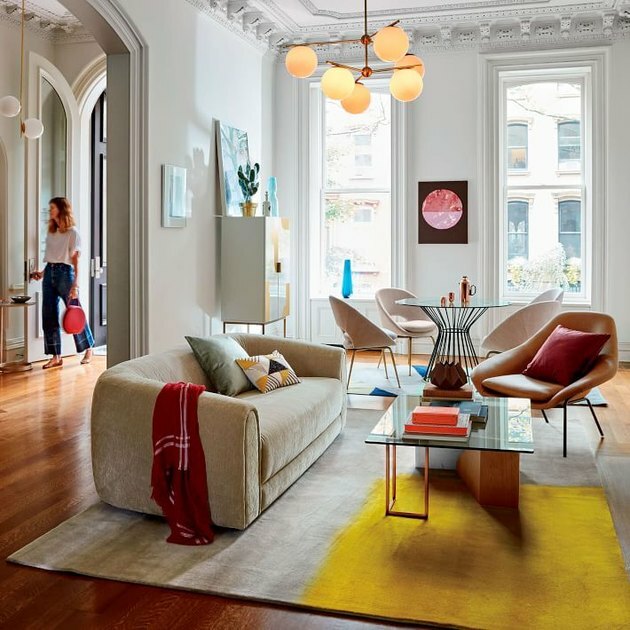 This '70s-inspired trend is a perfect fit for retro hues like sage green, burnt orange, and sunshine yellow. Add a few circular mirrored tables and you're left with pure interior magic. 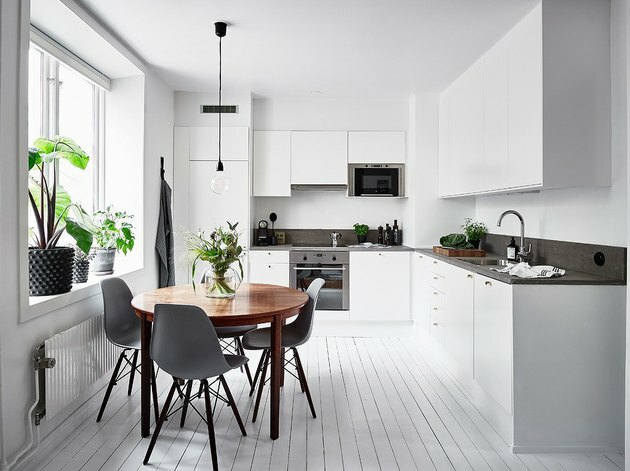 From the dining set, to the sofa, to the mod pendant light, this stunning space proves you really can't have too much of a good thing. If you're leery of making too big of a statement with this curvy idea, then try something more subtle like this charming dining set. It adds the perfect dose of quiet movement without being overwhelming. A textural, rounded coffee table is a great way to integrate this idea. It'll instantly make your space feel more dynamic, especially if your furniture circles around it in this fashion. This nostalgic space proves that the '70s are alive and well in the new year. If you're feeling bold, go all out and create a retro room from top to bottom. If your bathroom could use a refresher, then look no further. 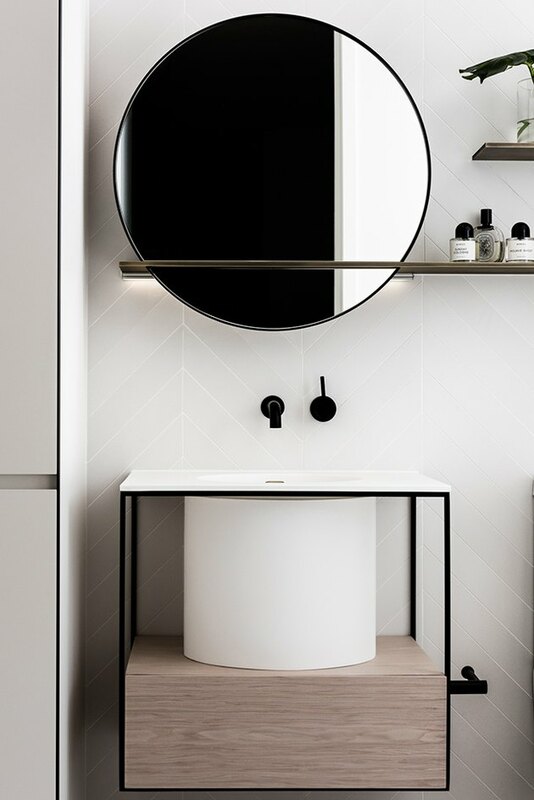 A rounded pedestal sink paired with a big ol' circular mirror is an easy way to make an eye-catching change. It's pretty tough not to love this unique take on a contemporary bar cart. And the addition of curved vases on top takes it to the next level. Just because you opt for a curvy sofa doesn't mean you can't play with more angular lines like this hexagon-patterned area rug. In fact, mixing the two will infuse your space with all kinds of visual intrigue. 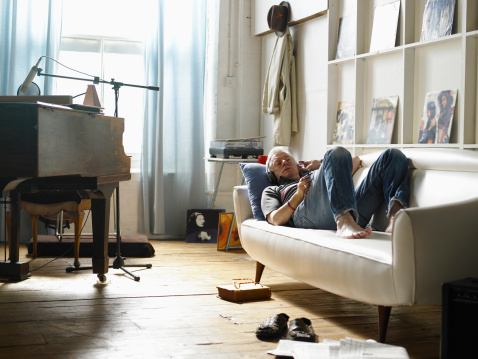 Turns out, your bedroom can get in on the action too. A curvy, Arne Jacobsen Egg Chair and round knot cushion, complemented by a glass globe branching pendant, is a gorgeous way to incorporate the spherical trend into your sleeping quarters. From the floor-to-ceiling sliding glass doors, to the adjustable arms and shades of the rounded Serge Mouille wall sconce, everything about this space is artfully arranged to create compelling movement. 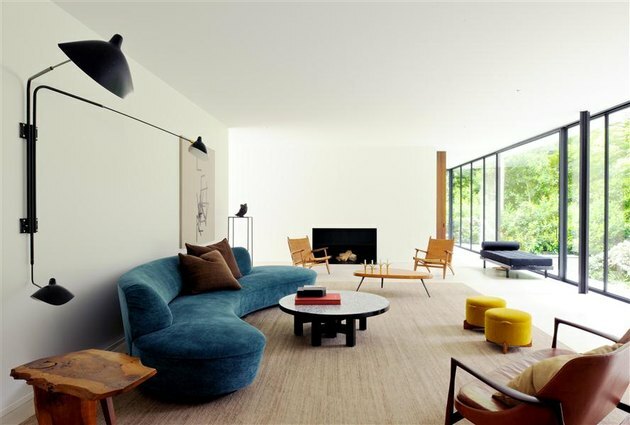 And the curvy sofa and circular coffee table combination is a flawless fit. Still not sure how to accomplish your rounded furniture goals? 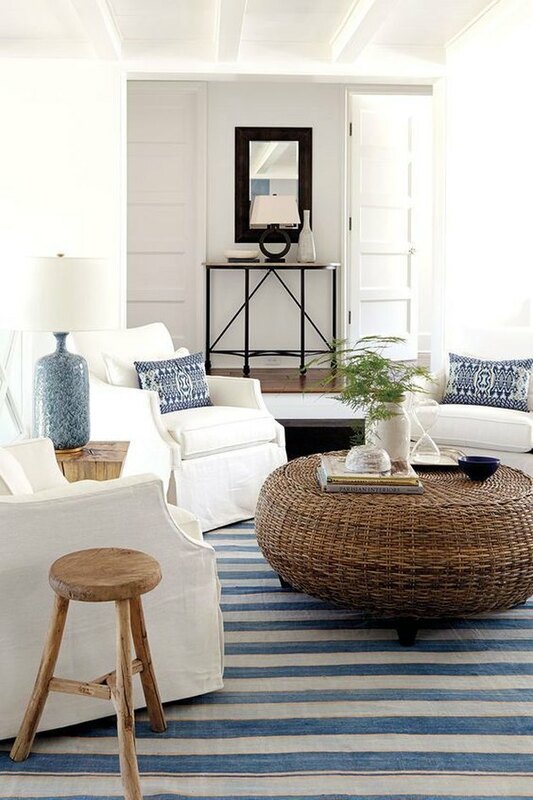 Then incorporate an oversize floor pouf like this one for a ridiculously-soft and ultra-comfortable style solution.